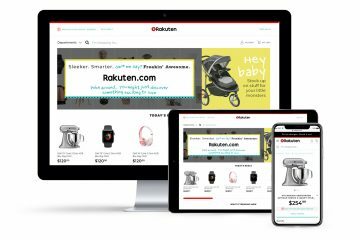 To celebrate the 20th anniversary of Rakuten’s founding in 1997, Rakuten Today presents a series of special posts exploring Rakuten’s unique history, culture and achievements. 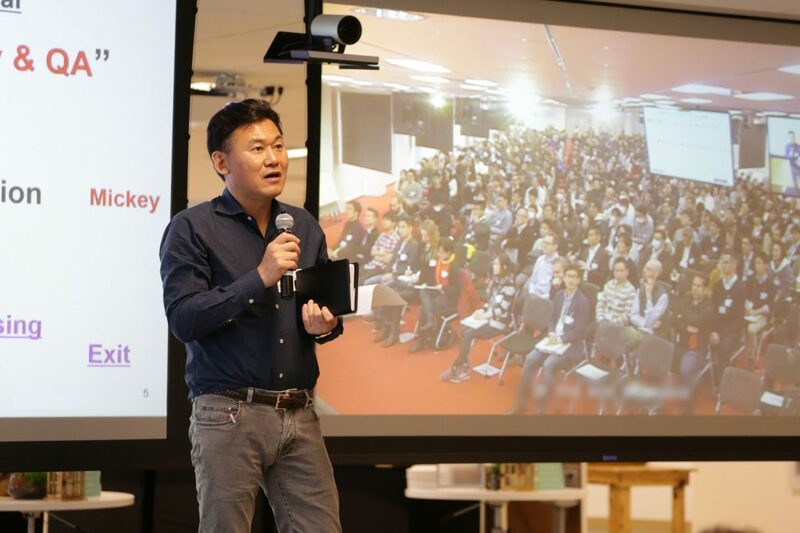 Rakuten’s corporate culture values the spirit of entrepreneurship, lofty ambitions and a sense of unity. Two good examples of how these ideals are put into practice are the Asakai (morning meetings) and desk-cleaning traditions. Even the design of Rakuten’s corporate offices sustains and enhances a dynamic and inclusive culture. Held once per week, Rakuten’s Asakai are attended by every full-time employee in the company, whether in person or via teleconferencing. 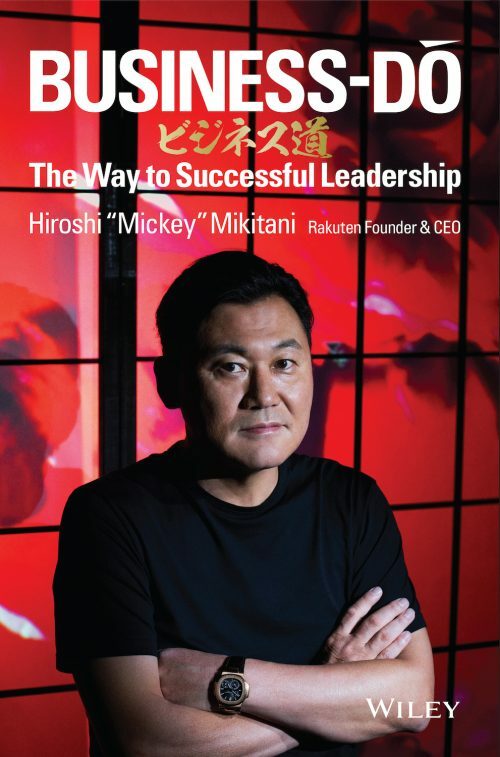 The agenda typically includes CEO Hiroshi “Mickey” Mikitani covering his vision for the Group and overall direction, as well as updates from individual businesses within the Rakuten Group on their accomplishments and best practices. The Asakai venue seats around 2,000 employees. Thousands more tune into the weekly meeting from their desks via a videoconference system. The original Asakai were held on Saturday mornings, when the company was still new and had relatively few employees. These open meetings allowed attendees to report on how their work was going, discuss solutions to the problems they faced, and share their thoughts about the business they were building together. Saturday was the chosen day then because in those early days staff had difficulty finding time on weekdays to sit down together for serious discussion. These Asakai—the name soon became official—were eventually moved to Monday mornings to help ensure that employees were on the same page at the start of each work week. From April 2010, all presentations were given in English as a preparatory step toward making English the company’s official language. A shift to Tuesday mornings came in 2011, reflecting the larger number of employees attending remotely from different time zones as the Rakuten Group became increasingly globalized. Asakai are a way of focusing everyone’s minds on the same goals and maintaining awareness of areas requiring daily improvement. They also help employees keep abreast of developments across the Group and understand the role their business plays, which in turn encourages employees to consider how to apply this knowledge in their work. 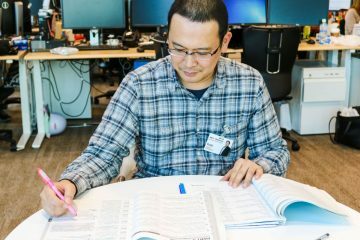 Sharing information widely also boosts yoko-ten, Rakuten’s term for the dissemination of best practices throughout the Group, and management-level overviews of corporate strategy and Group business help to remind individual employees of how their role fits into the planning and management of the company. At one point, Asakai were scaled down to include only selected employees, primarily those in managerial positions, when Rakuten’s rapid growth made it difficult to assemble everyone in one location. But employees who were not included soon voiced concerns about losing access to the information shared at the meetings. Without this information, it was harder for them to make sense of the perpetually changing business environment and the adjustments in company policy it inspired, which reduced their sense of empowerment to act and make decisions independently. 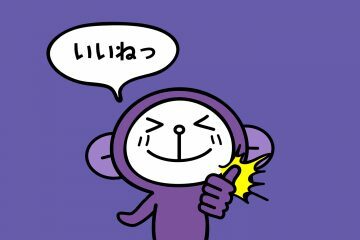 Very quickly, the Asakai once again became a Group-wide initiative. 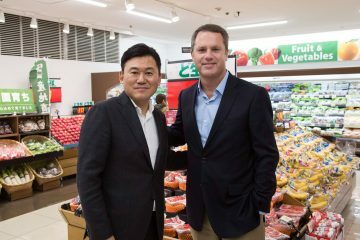 Every single Rakuten employee cleans their desk area once a week, right up to the CEO. 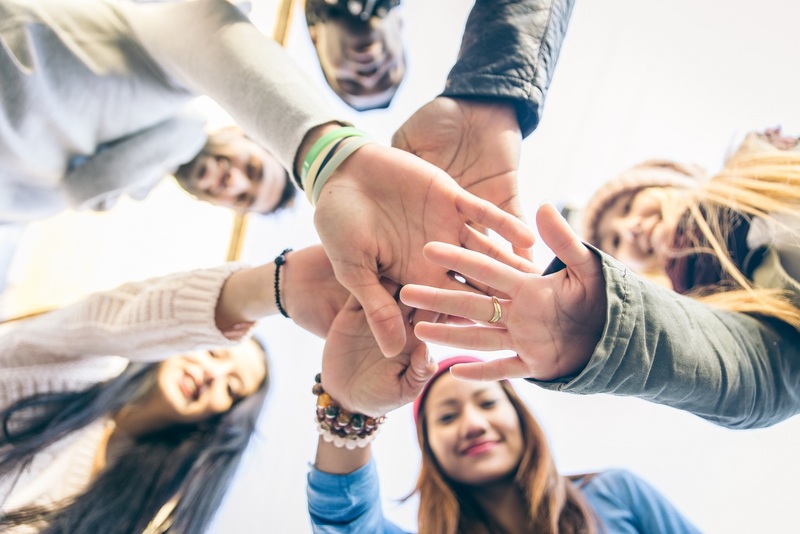 This creates a moment to “clear the decks” in one’s mind and ensures that all employees remember that they are connected to every aspect of the company. 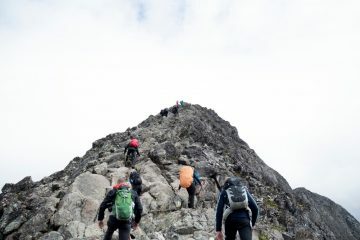 At Rakuten, teamwork is essential—employees must cover for each other beyond the bounds of job description and department, rather than simply completing the tasks they are given. A strong sense of ownership in the company—a conviction that they are the ones who drive its growth—is also vital. By having everyone engage in the same task at once, desk cleaning time symbolically reaffirms that the entire company is one team. 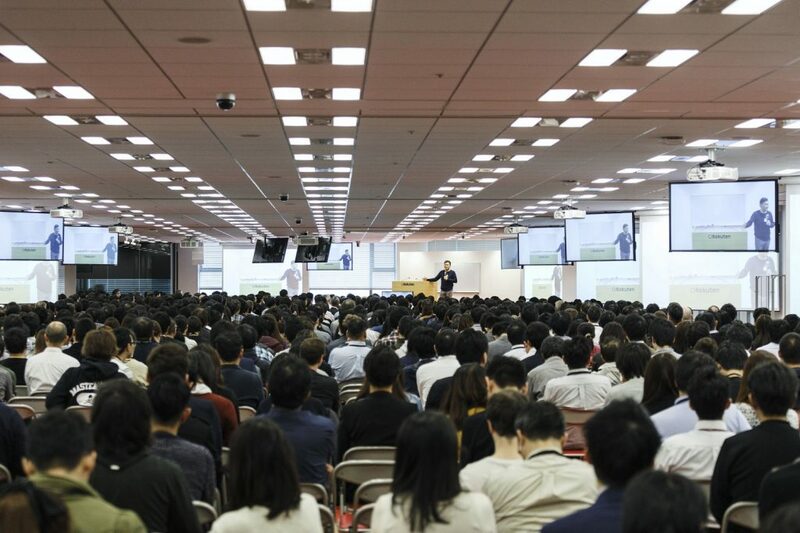 One of Rakuten’s key considerations when relocating to its current head office was the Asakai venue—not just capacity and facilities, but also the network environment for those attending from remote locations. In the end, the hall was laid out so that the podium is easily visible from every direction, and audiovisual quality was upgraded to allow those participating via video conference to feel as though they are attending in person. Asakai presentations generally cover progress toward targets by individual businesses, best practices, and group-wide marketing measures—including their results. Some Asakai focus on sharing global technology trends, putting the spotlight on internal specialists from each area. 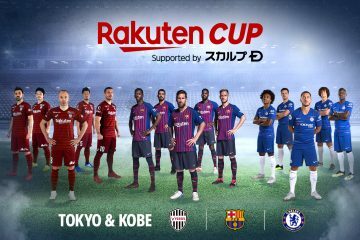 Briefings about Japanese and international media coverage of the Group also keep attendees up-to-date on which of Rakuten’s activities are in the public eye. A highlight of the morning meeting is the question-and-answer session with Mickey. 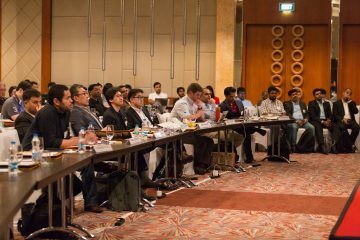 Candid questions are taken from employees around the world on a wide range of topics, from company policy on entering new industries to employee benefits and the latest business strategies. Mickey participating in Asakai from the U.S. regional head office. Offices located around Japan and around the world are linked for the weekly meeting. Videoconferencing allows real-time connection to branch offices in Japan and overseas, with more than 10,000 employees attending each meeting in total. Mickey’s schedule keeps him on the move across the globe and so he often calls in from overseas locations like Rakuten Crimson House West in Silicon Valley. Rakuten Awards are presented once a month to employees who have made notable contributions to the company. Award winners are announced at the Asakai, allowing employees worldwide to celebrate the successes of their colleagues. The corporate culture that Rakuten aspires to is embodied in the design of the company’s head office, Rakuten Crimson House. Located in Futako-Tamagawa, Tokyo, the building was specifically designed to offer a comfortable, healthy work environment for the company’s diverse workforce, as well as nurturing a startup-like atmosphere for encouraging open and active communication. 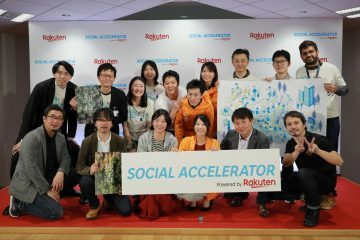 The success of this concept has seen it applied at other Rakuten offices in Japan and around the world. 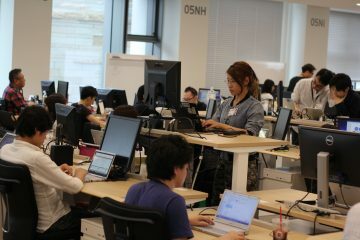 At Rakuten Crimson House, divider-free desks, whiteboard walls, and open meeting spaces dotted across every floor create workspaces where employees can hold an impromptu discussion wherever and whenever necessary. Every meeting room is equipped with a videoconferencing system, making it easy to invite colleagues in other locations to participate. Rakuten Crimson House also offers a broad range of employee facilities, including a cafeteria offering free breakfast, lunch and dinner, a well-equipped gym, a drop-in health clinic and a daycare center. In recognition of the diversity of the workforce, the cafeteria offers halal and Indian vegetarian meals, and a prayer room and nursing room are also available. The building has everything needed to support the daily life and wellbeing of all employees. With whiteboards covering the walls, no desk dividers and electric height-adjustable desks, Rakuten Crimson House’s open working environment promotes active communication. Even the CEO’s office is fully open rather than enclosed with walls. The cafeteria offers breakfast, lunch and dinner free of charge to encourage employees to eat three balanced meals daily. This is grounded in Mickey’s vision of employees “eating from the same cooking pot.” The lettuce served every day is harvested at a plant factory operated by Rakuten Socio Business, a special subsidiary company that promotes employment opportunities for people with disabilities. A convenience store adjacent to the cafeteria. Bakery items freshly prepared by employees of Rakuten Socio Business are particularly popular. 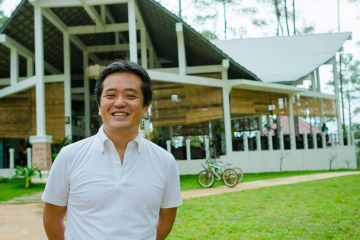 A daycare center to support employees with children. With native English speakers among its staff, the program at Rakuten Golden Kids is intended to help children understand diversity through play. The unique curriculum also includes science experiments and visits to outdoor nature spots close to the head office. Rakuten’s gym boasts treadmills and other equipment as well as a training room for activities like yoga. Employees can also refresh themselves with a sauna and shower, and massage and acupuncture treatments are offered next door. A multipurpose hall. University-style lectures and discussions are often held here, in a format that encourages lively debate. Rakuten Crimson House has a spacious entrance and lobby with wood-themed decor that conveys a calming effect, as well as many desks and chairs for impromptu discussions. Inside are more guest meeting rooms, each featuring a different set of desks and chairs sourced from merchants on Rakuten Ichiba. In effect, the meeting rooms double as showrooms! Located in San Mateo, California, Rakuten Crimson House West opened in 2015 as Rakuten’s new regional head office for the Americas. The corporate logo on the building’s facade can be seen from Route 101, a major highway along the West Coast of the US, helping to enhance Rakuten’s visibility in Silicon Valley. Daily catered lunches feature cuisine from Spain, India, Japan and other countries. Also opened in 2015, Rakuten Crimson House Singapore is the company’s regional headquarters for Asia. Located in Singapore’s business district, the office boasts panoramic views of the Marina Bay area and height-adjustable desks laid out in a honeycomb pattern. Circles, considered auspicious in feng shui, were also incorporated as a key design theme, resulting in curvilinear walls and decor.